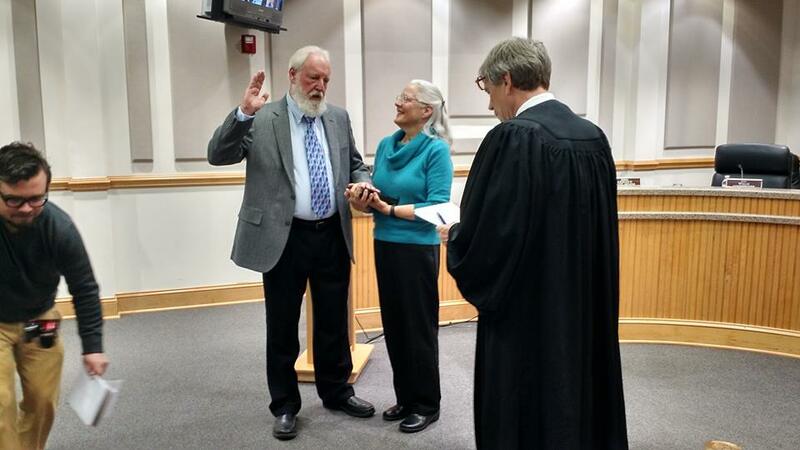 This morning the Watauga County Commission came under Democratic control after six years under the Republicans. With the swearing in of newly elected Democratic Commissioner Larry Turnbow and the seating of Democratic Commissioner John Welch as the new Chair of the Board, Watauga enters a new era. Equally consequential: the firing of the Eggers Eggers Eggers and Eggers law firm as counsel and the hiring of the di Santi, Watson, Capua, Wilson, & Garrett law firm. No more "Four" Eggers, and for that, we thank you! Everything was harmony and light this morning. Republican Commissioner Perry Yates nominated John Welch for the chairmanship and expressed his eagerness to work together with the new Democratic majority. All votes after that were unanimous (granted, there was nothing controversial on the agenda). What??? NoMo Four Eggers to kick around! Those are certainly positive developments that I applaud, but the changes I'm really waiting for are on the BOE. I literally cannot wait to see Mr. Aceto take a seat in the minority, or perhaps no seat at all. Many of his actions and statements over the last years have left me speechless, and I've never seen a 'public servant' more blind to the public good. Hey, new BOE! Can we get our Armory polling place back, instead of having to drive out to a church practically on the Parkway, with no public transit? Praise the Lord for surely the devil and his minions have been in control these last 4 years. Jeff, your vision is in the wrong direction. Read your New Testament and tell me where governing by the puppets of the 1% fit in.Thank you. The one-percenters are in both parties, Jeff. So what's the ratio? Just because they contribute doesn't mean they are in a certain party. Called "covering the bases."